I’ve been arguing for months that the ideal outcome in the midterm elections to set up Donald Trump for a landslide re-election in 2020 is for Republicans to hold the Senate and narrowly lose the House. Trump is best when he has a foil to run against — and who better (other than Hillary Clinton) than one of the least-popular politicians in America, Nancy Pelosi. She won’t be able to contain herself or her deranged far-left followers from pushing a litany of half-baked ideas. American voters need to see first-hand how radical the Democratic Party has become. 1) Florida governor. No state in the nation has done better economically over the last eight years than Florida. Rick Scott has been — arguably — the best governor in America. But now he’s out of the state house and Democrats have nominated Tallahassee Mayor Andrew Gillum, who is black and leans far to the left. He is facing off against Ron DeSantis, the conservative congressman and former Marine. This is a clear clash of ideologies in a state that Republicans must keep red. Florida is now the third-largest state, and Republicans can’t win nationally without keeping a hold of the Sunshine State. If Gillum wins, taxes in Florida are going way up, and Dems will have control of redistricting after the 2020 census. The race is a toss-up. 2) Florida Senate. Rick Scott has won two razor tight races for governor and now is seeking the Senate against do-nothing incumbent Democrat Bill Nelson. Scott’s stellar performance as governor should have earned him the goodwill of voters, but the angry left is alive and activated in gatorland. Scott is tied to Trump, so this race is a bit of a referendum on Trump’s approval in the state. I predict both of these close Florida races will swing in the same direction. It’s all about turnout. It’s a long shot in this deep-blue state, but he’s only 4 points down. If Stefanowski pulls off the upset, Connecticut could be back open for business, and it will be a long-overdue acknowledgement that Connecticut voters understand how much trouble the state is in. This would be a political earthquake in the slowly dying Northeastern region. 4) New Jersey Senate. This one defines whether Democrats are so hungry for power and patronage that they will actually re-elect one of the most corrupt politicians in Washington — which is saying a lot. Bob Menendez barely survived a conviction for graft when a jury failed to find him guilty. The Senate Ethics Committee reprimanded Martinez for “knowingly and repeatedly” accepting lavish gifts from donors. This hasn’t stopped the Democratic Party or its firehouse of money that is slamming into the state. The Republican Bob Hugin, a businessman, is hammering Menendez on his ethical problems — but in the solidly blue Garden State, that may not matter. The New York Times quotes Cory Booker, the other New Jersey senator, as saying Menendez is “the future of this state.” Of course, that’s the problem with the modern-day Democratic Party. 5) Michigan Senate. Incumbent Democrat Debbie Stabenow, seeking her third term, is drowning in money and is beloved by the union bosses and the Washington, D.C., lobbyists. She is the candidate of the Swamp. 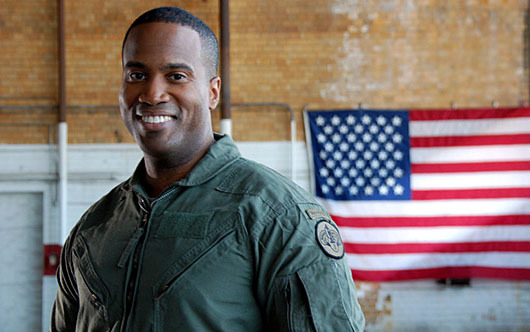 But her opponent, John James, has suddenly become a national conservative darling. He’s a former West Point grad and Iraq War vet, with a business background. He’s a savvy conservative — and he’s black. It’s striking that the Oprah crowd is all in on black upstart and liberal candidates in Georgia and Florida, but won’t give James the time of day. James is still a big underdog, but Stabenow’s lead has shrunk in recent weeks, and if James pulls off the upset or even comes close, he could be on the national stage soon. 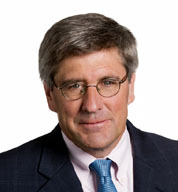 Could he be the GOP’s Barack Obama?